Hi hi! It’s Rachel again with another sneak peek at the redesign! You can see the big version here. 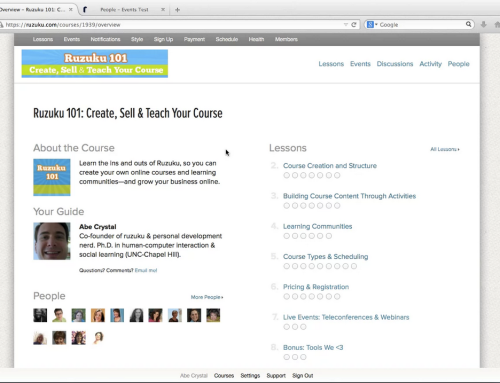 This is the Course Overview page, the backbone of Ruzuku course structures. 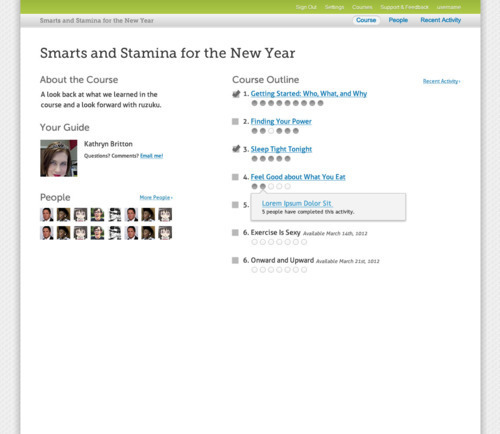 Although we expect learners to spend most of their time in the Activity View (see previous posts), they’ll probably access the course on every visit via this page. So it’s important to show where the student is in their progress and help them orient themselves in relation to the rest of the material. The progress dots under each step represent its activities, and you can see an example of the tooltip that pops up when you hover over one of them. 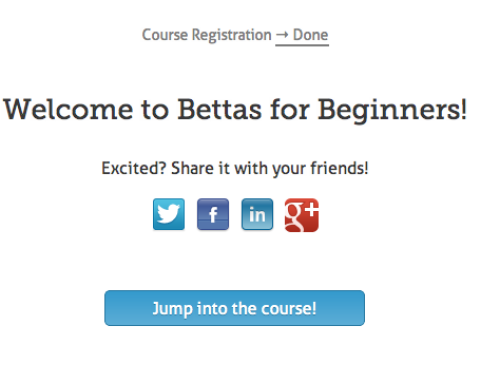 We’re making a few changes to this page before we launch the redesign. We’d love your feedback, too!